An Easter update on progress and hopefully a chance to keep you up to date with the next steps and plans. As reported last time we have been exceptionally lucky with the weather with all the roof works now complete and major progress having also been made on the tenant's accommodation which, in addition to the fallen ceilings due to the roof leaks, was in an overall poor state with no insulation so consequently incredibly cold. Work has also been ongoing on window repairs throughout and where, as you may have seen if you had passed the front of the pub, the bay windows were in need of a lot of remedial work. Our listed building and planning applications are in and we have concentrated on providing easier access with the plans showing a reuse of the old front door and a step free access into the pub giving left and right options into a widened bar area. This will also mean you will no longer have to cut past the kitchen to get to the other side of the pub ! We have also proposed to remove the entrance and porch behind the Yew tree but will retain the entrance from the garden to the old restaurant area. Unfortunately we cannot do anything about the steps up to this restaurant area within the building or down to the toilets but we have put in a wider door in the Gents cubical to try to provide some disabled / wheelchair access here. The kitchen has now been totally stripped out (many thanks to the volunteers that came to help moving a lot of heavy stuff out and into storage) and we are getting re-quotes prior to making a choice of supplier of the remodeled kitchen. Quotes are also in hand for non slip flooring and carpets. Electrical work is well underway and will be ongoing as different elements of work are tackled. The two cellar chillers have now also been serviced and are now off our 'unknown' list and hopefully primed for reuse. In the garden Tony Haigh has continued with his sterling efforts and we must say thanks for all the offers of scarifiers for the lawn and preservative offered for the benches. His latest request is that if anyone is splitting or has available any (low maintenance) surplus shrubs or plants they would care to donate he is looking at restocking the borders. If you have anything or would like to help please get back to me or David Flory and we will pass on these offers to Tony. Our tree works / conservation area application is also in and we will carry out the works recommended at an appropriate time (post nesting etc). 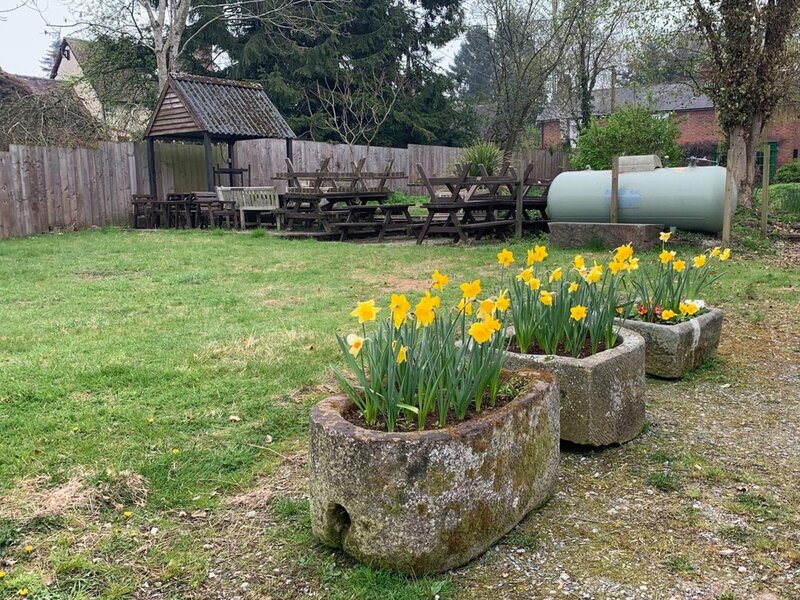 Talking of volunteering we will be looking at taking up some of the offers of help with painting shortly with the idea of finishing the 'prep room', the low building at at the back of the pub, completely in the next month or so. The idea being that as bits are cleaned, checked over and made ready for use once again we can use this as a clean storage area for known good equipment, furniture etc. We have some names from the list drawn up at our first garden tidy up but if anyone would like to volunteer for this or other tasks as we go forward please just get in touch so we have your skills and offers captured for when they are needed. 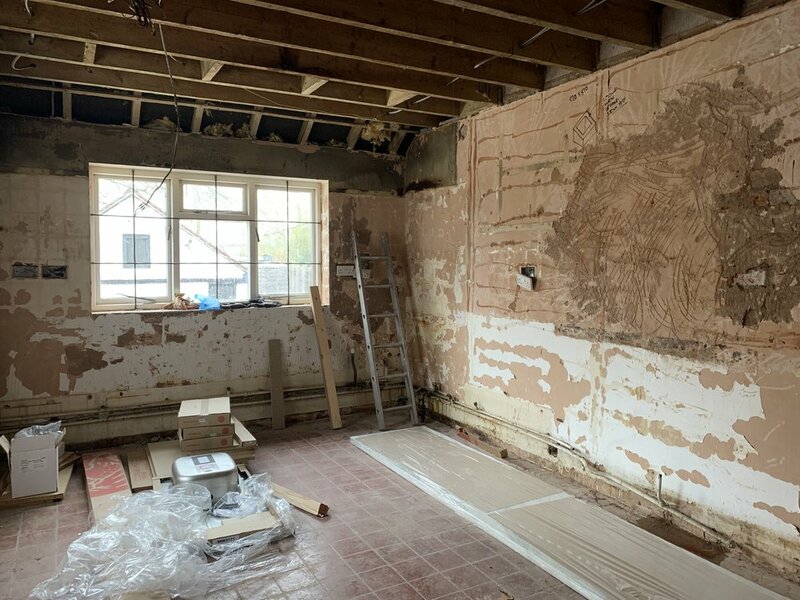 Nearer the end of the project we will be following up on the offers to help with soft furnishings and decorations but this will be some time yet. Finally, we have now received the printed display Share Certificates and hope to start delivering these over the Easter period. We are planning to distribute those locally by hand but will be sending those for our most distant members (e.g. Melbourne, Australia!) by post. Hope everyone gets chance to have a few days holiday over Easter and we will be back in touch next month.